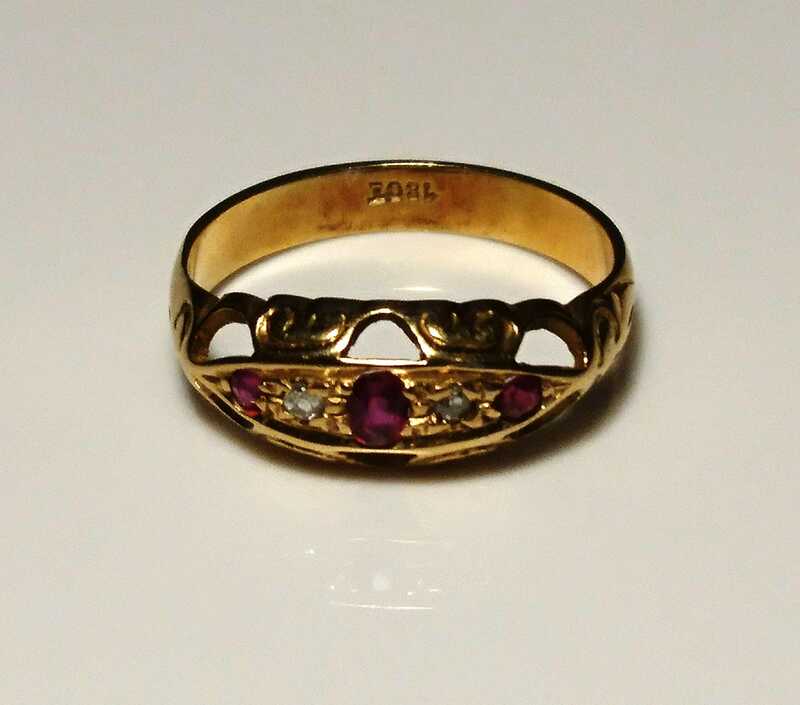 A gorgeous late Victorian era Ruby and Diamond ring. Crafted in high quality 18ct / 18kt yellow gold it is a boat head setting with ornate scroll detailing to the shoulders. 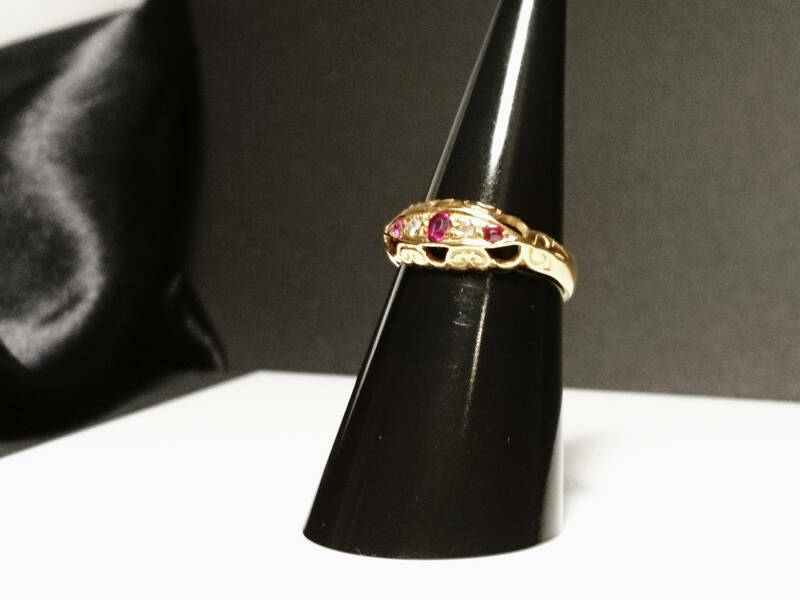 Diamonds and natural rubies sparkle through the setting. 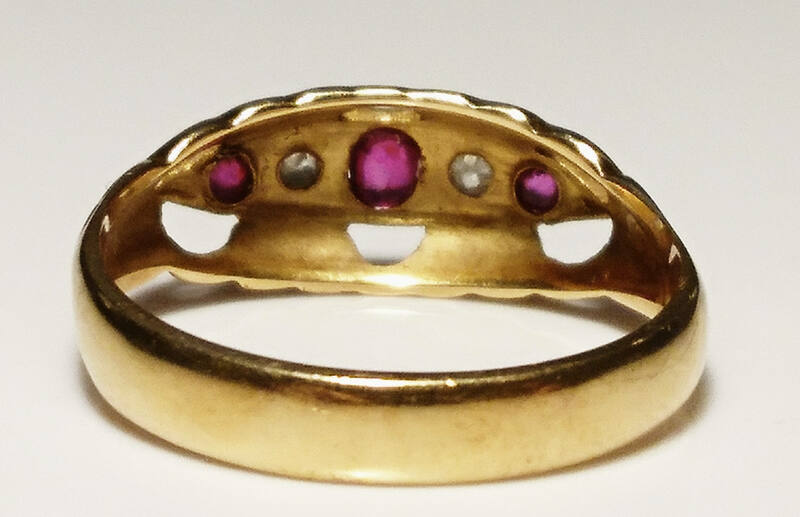 It has a central oval faceted cut striking pinky red Ruby, next to this there is a sparkling round old cut diamond. 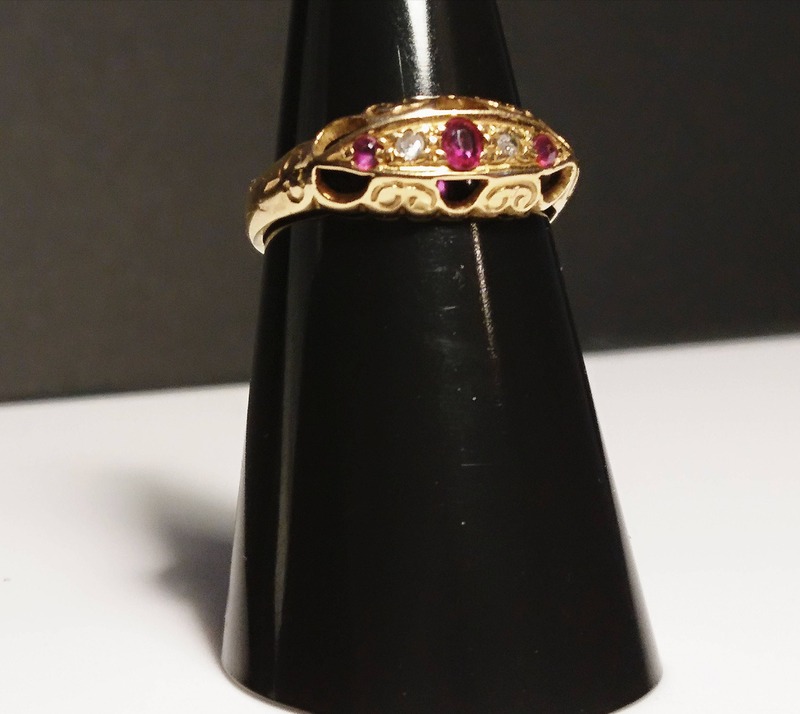 There are two further round faceted rubies at the ends of the setting. 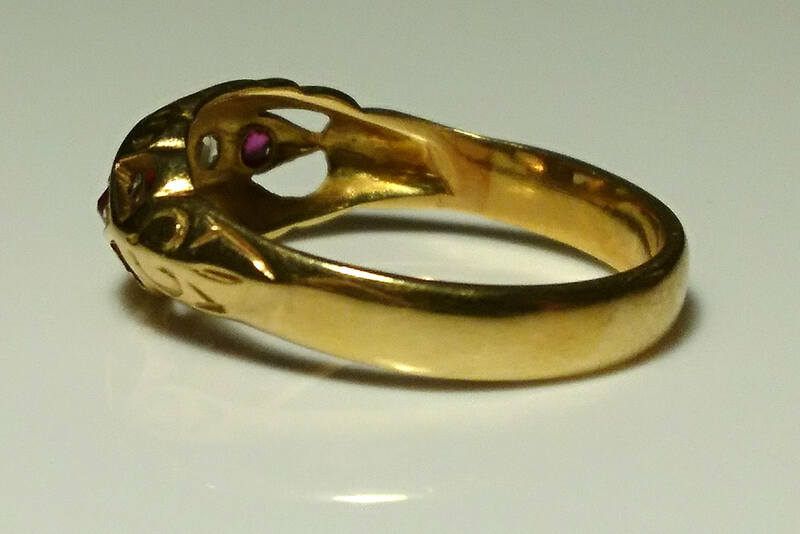 It has an open back setting and is in excellent antique condition, it is stamped inside the band with 18ct and has also been tested by us to confirm the gold purity. 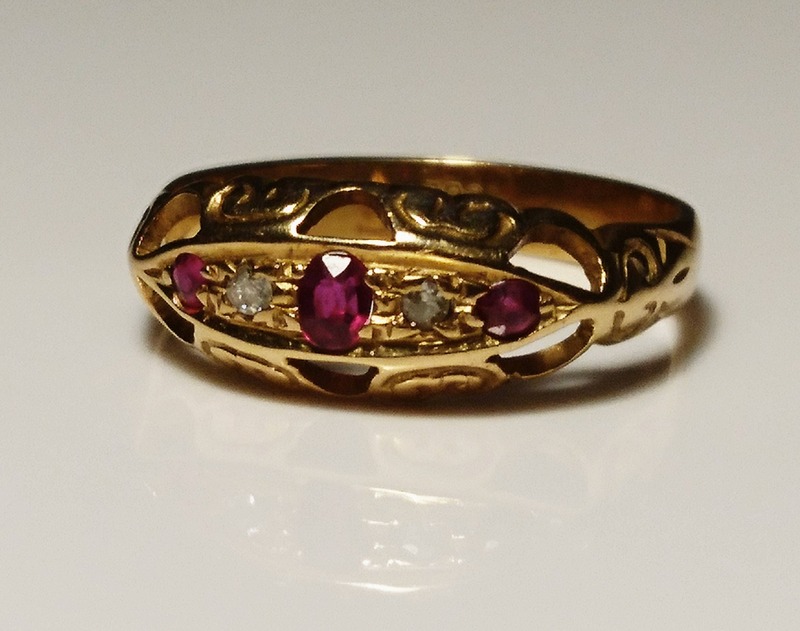 A beautiful antique estate ring. 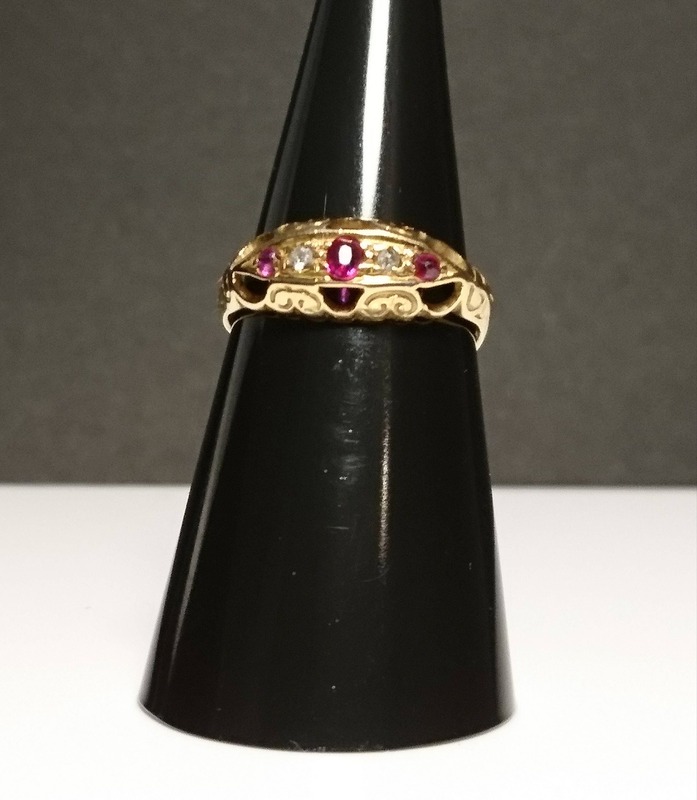 This item can be resized upon request, resizing for 18ct gold is charged at £35 per size, resizing can take between 7-14 working days depending on the requirements and the workload of the goldsmiths, please contact us prior to purchase if thus is something that you require.